Sixty lawmakers introduced a bill to Verkhovna Rada proposing to authorize the parliament to impose sanctions. Among the sponsors of the bill registered on 22 Decemberare the head of the Self-Help faction Oleh Berezyuk, Serhiy Sobolev (Fatherland), the chairwoman of the foreign affairs committee Hanna Hopko, and Leonid Emets (Fatherland). Currently, sanctions are imposed by the National Security and Defence Council and enforced by presidential decrees. If the sanctions relate to a foreign state or an indefinite list of individuals, the president's decree is subject to approval by the Rada. 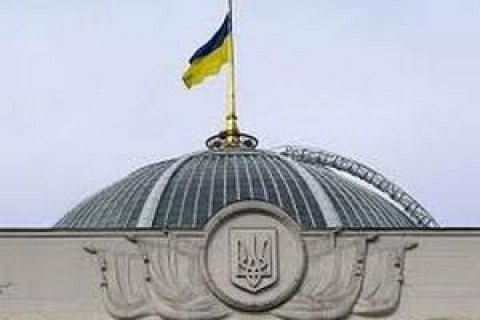 The bill proposes to establish that the parliament decides on the introduction, revocation or amendment of sanctions by passing relevant law, or the NSDC does on the proposals of the president, the Cabinet of Ministers, the National Bank or the Security Service of Ukraine. The bill also provides for the introduction of sanctions in the form of partial or complete break of diplomatic and consular relations. The bill expands the list of grounds for imposing sanctions and allows them to be introduced for violation of the rights of Ukrainians abroad by a foreign state and an illegal arrest of Ukrainians. In addition, if the UN General Assembly, Security Council or the Council of the European Union slams sanctions in order to protect the security and territorial integrity of Ukraine, the bill authorises the president of Ukraine to single-handedly imposes similar sanctions for one month.